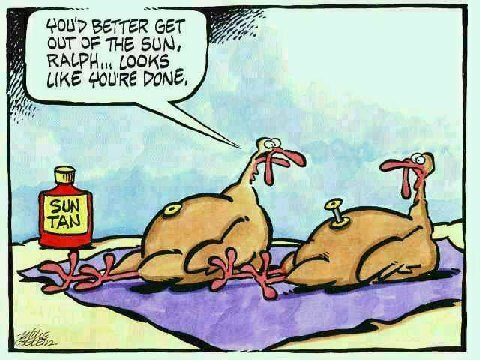 Respect the Turkey: Turkey sun tan! These turkeys are roasting themselves! You'd better get out of the sun, Ralph... Looks like you're done.